This is the record label for Debbie’s first released recording – for which she received a Juno nomination. In 1979, Debbie came to the attention of Jackie Rae and Canadian Talent Library as a result of her work with other artists on the label, including Elaine Overholt and Doug Mallory. Her first solo album entitled “Let Me In” contained 7 of her own compositions, and 2 songs written by her friend and colleague Lynne Deragon. With musical arrangements by Tom Szczesniak and legend Doug Riley, this album, released in 1980, had a very favourable response in Adult Contemporary circles. In the late ‘80s, Debbie returned to her country roots and began recording her own tunes, releasing them as singles on her own Riverdale Records label. Produced by Pedal Steel whiz, Ron Dann, “What’ve They Got For A Heartache” and “After The Afterglow” were released as single vinyl 45’s, and were deemed very successful as a result of radio response. All too suddenly vinyl was replaced by the CD format, and releasing singles now became difficult. Debbie continued to write and record, releasing singles on CD compilation format with other artists, however, radio stations inundated with compilations containing songs by as many as 18 artists, did not respond favourably to singles of this sort. In 1994, Debbie compiled all the country songs she had recorded onto her third solo recording, entitled “Nothin’ In The World (That This Old Girl Can’t Do! 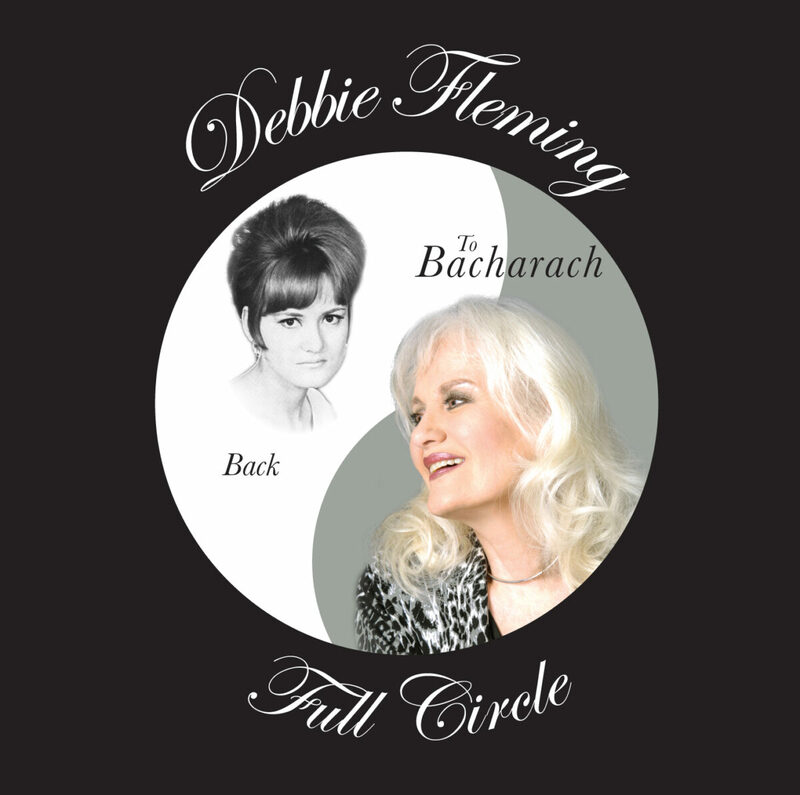 ).” All songs on this CD are Debbie’s original compositions, with one song co-written with Rena Gaile. Nashville contacts gave this project favourable response, but strongly suggested that Debbie should move to Nashville if she wanted to take her career as a country singer-songwriter further. Debbie loved her hometown Toronto, and elected to remain there. Under the pseudonym of A.C.Kurett, Debbie wrote and released songs such as Baby Let’s Slow Down, Just A Memory, I Just Wanna Dance, I Can’t Believe It on compilation CDs released by RDR Productions. Debbie never lost her deep love for R&B music, and she continued writing songs in that vein, inspired by the funky horn-based Toronto bands she followed –The Lincolns,George Olliver and Gangbuster, Men From Uncle, and many more. With her new knowledge of midi and computers, she crafted songs and tracks that begged to be recorded and released. She brought her tracks to recording phenoms Rob Rettberg, and Ray Parker who tweaked her data, and added polish and pizzaz to these tunes. 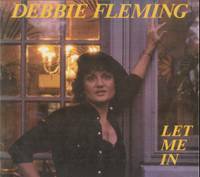 Debbie released the songs under a pseudonym – A.C. Kurett (say it quickly, and you’ll get the hidden meaning) – so as not to confuse radio stations, who knew Debbie Fleming as a country artist. Throughout the 80’s and 90’s Debbie was part of all recordings done by the Mendelssohn Choir, her favourite being Handel’s Messiah, recorded in 1986 with Elmer Iseler, Andrew Davis and the Toronto Symphony Orchestra, featuring Kathleen Battle, and recorded at the Kitchener Centre for the Arts. In 2015, The Toronto Mendelssohn Choir recorded a newly orchestrated version of Handel’s Messiah, under the baton of Andrew Davis with the Toronto Symphony Orchestra. With Davis’s innovative new orchestrations, including added marimbas, extra brass and percussion – this CD is bound to be a hit around the world. Debbie is proud to have added her voice to the soprano section on this recording. During her career as a session singer, Debbie was hired to sing and arrange backup vocals for hundreds of artists – some of the most notable being Frank Mills, Ronnie Prophet,Hagood Hardy, David Clayton Thomas, Rob McConnell, Oscar Peterson, Anne Murray, Bob and Doug McKenzie, Carroll Baker, Leona Boyd, Rik Emmett, Rita MacNeil, Susan Aglukark, Ronnie Hawkins, Jason McCoy, country superstar Alan Jackson, and many many others. During these sessions in Toronto’s finest studios –- Manta Sound, Sounds Interchange, Nimbus 9, Phase One, Inception, Eastern Sound –Debbie learned a great deal about recording and production. In 1996, after receiving an Ontario Arts Council recording grant for the jazz vocal group Debbie assembled, newly named nonet “Hampton Avenue” released a Christmas album, containing Debbie’s original songs and arrangements, as well as some cover tunes such as “Charlie Brown Christmas” and “Have Yourself a Merry Little Christmas”. Debbie produced this album, and it was released to very favourable response from radio and sales. It is still played around the world at Christmas time, and the silky-smooth tight vocal harmonies associated with Hampton Avenue have led to an ever-widening audience for this talented group. 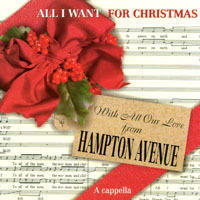 In 1999, Hampton Avenue, now an octet with some changes in personnel, released their sophomore CD. Debbie and Hampton Avenue member Larry Folk, co-produced this project. Containing many original tunes, and four cover tunes, this CD met with great response from radio and internet sales. 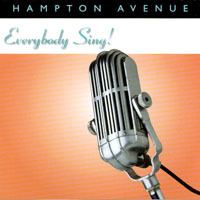 Hampton Avenue was awarded the Jazz Report Vocal Group of the Year as a result of this album, and an award for “Best Jazz Song” was presented to Hampton Avenue as a result of their recorded version of “In A Mellow Tone” (arranged by John Herberman). This CD continues to be played extensively on the airwaves. 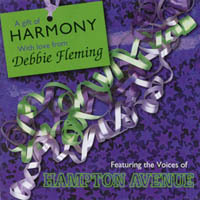 After Hampton Avenue disbanded, Debbie still had some of her songs and arrangements that she wished to be recorded by a jazz vocal ensemble. Hampton Avenue core members – Suba Sankaran, Dylan Bell and Tom Lillington (now known as The Hampton Avenue 4) recorded these songs and arrangements at Debbie’s Toronto studio, with Debbie as producer, arranger and recording engineer. Also appearing in some songs were Tim Olfert and Merry Ann Hutton. Digitally recorded tracks were taken to David Norris-Elye at Towne Music for mixing and tweaking, and the CD was released in 2002. Debbie had never strayed too far from her country roots, and in 2001, she formed a trio with two of her friends from the Mendelssohn Choir, Dorothy McDonall and Mary Ellen Moore. ChoirGirlz, as they named themselves, began rehearsing together for fun, with Debbie learning how to play guitar. Their sound was a wonderful blend, and all three were songwriters, so it stood to reason that they had to record a CD to gain wider recognition. Under Debbie’s guidance as a producer, arranger, recording engineer, guitarist and singer, they released their CD entitled “Angel Wings” in the fall of 2003. 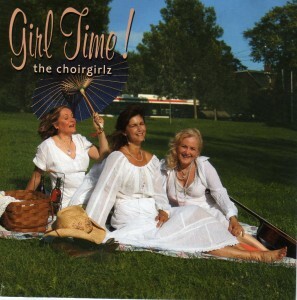 Since then, as Debbie’s guitar playing evolved, ChoirGirlz have become a little more jazzy with the harmonies and songs they sing – a little like Dixie Chicks meet the Andrews Sisters. Although the simple purity of country music is an important facet of Debbie’s soul, she never lost her passion for the tight dissonant crunches of jazz music. Once you know about “sharp elevens” and “augmented ninths” it becomes an addiction! After the breakup of Hampton Avenue, Debbie began performing as a solo artist with her jazz accompanists – Bruce Harvey and Jack McFadden, whom she had known since her McMaster days. After her debut at the Montreal Bistro, with the addition of Don Vickery on drums, and John Johnson on sax, it was clear from the positive audience response that a recording had to be made. In the summer of 2004, Debbie arranged 11 of her original tunes for the band, and with the quintet recorded at Acrobat Music Studios – engineered by Jim Morgan – the engineer she first recorded with in 1973. Produced by Debbie, this CD is a labour of love, and was a magic experience from the beginning. Seasoned musicians such as Bruce, Jack, Don and John MacMurchy have ears so fine-tuned, that the “gestalt” on this album is quite phenomenal, and most tunes were “first takes”. 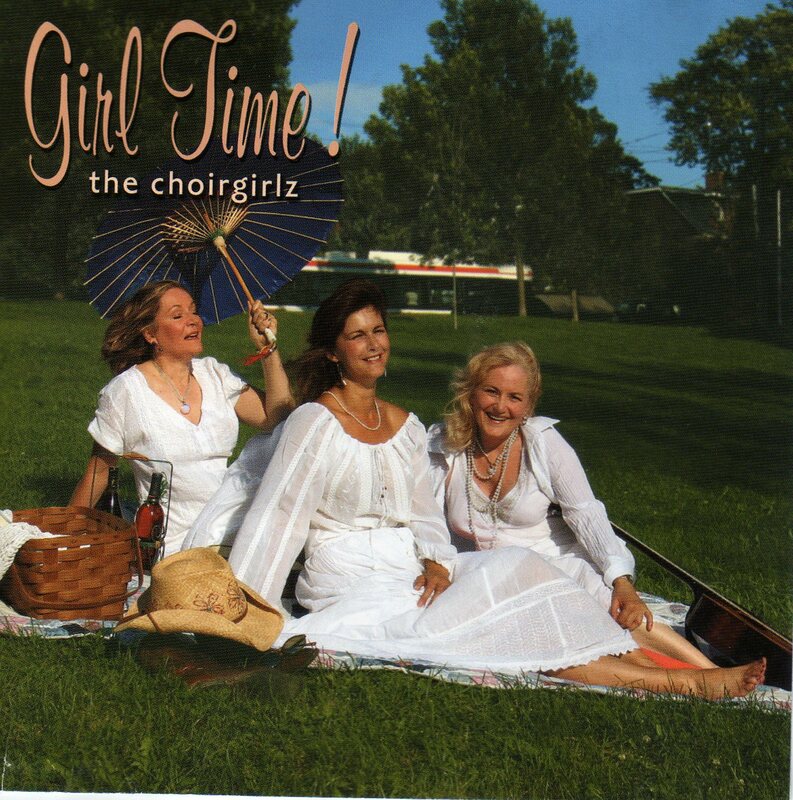 ChoirGirlz, Mary Ellen Moore, Dorothy McDonall and Debbie Fleming released this CD in 2006. As the ChoirGirlz became more polished, and more in demand as performers, a sophomore CD was co-produced by Debbie with Steve Briggs. They used a full band and a professional recording studio with Ray Montford at the board. All original tunes and arrangements, with the exception of “The Tennessee Waltz” – this album was very positively received and supported by radio. 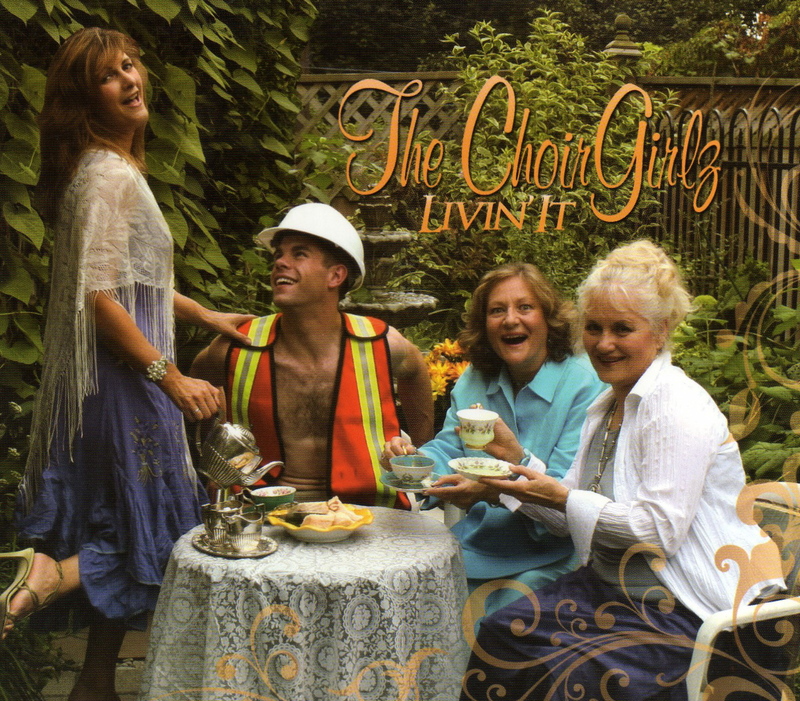 Livin’ It, performed by ChoirGirlz, backed by Steve Brigg’s band – consists of all original songs. They are seen on the cover with their “Dream Baby”. 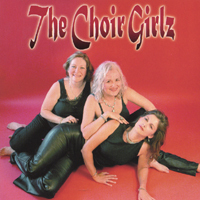 In 2008, the ChoirGirlz recorded this CD, featuring all original songs. Debbie wrote most of the material, including a beautiful testament to her father, a WWII veteran – entitled Ode to a Vet. Dorothy co-wrote a bluesy song with Debbie, entitled “Tormented Soul”, and a 3-way co-write “Peace On Earth” was written to celebrate “Peace Prayer Day”. 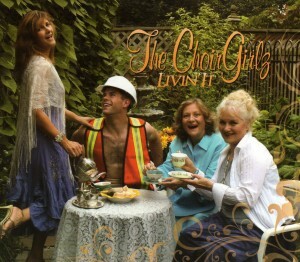 This final recording by the ChoirGirlz is the best yet! In 2016 Debbie recorded a tribute to the beautiful music of Burt Bacharach and Hal David. She collaborated with Toronto pianist Mark Kieswetter, and between the two of them, rejigged and rearranged great tunes like Anyone Who Had a Heart, You’ll Never Get To Heaven, Alfie and many more. Debbie sings the songs with passion, and emotion, and features the Hampton Avenue 4 on The Look of Love and Close To You. The album is called Full Circle-Back to Bacharach, and can be purchased in hard copy, or by download. All these recordings may be purchased by ordering through our Shopping Cart page.